Check out some awesome aerial drone footage from my travels around the USA. Also, join me as we take a journey around the world exploring fun things to do. From Paris to New York to Hong Kong, I hope to info-tain you. Also check out my YouTube page for more awesome aerial drone videos: Starwelcome. (http://bit.ly/1FyD5Ec) Aloha! I started my blog as a travel America blog. I later discovered drone photography, and that has been a bunch of fun. But my original focus was to promote places to see in America. Some, less known than others. In this case, I write about something that has been seen by hundreds of thousands every month, but probably has not even been noticed. An iconic landmark in Death Valley, California is the Worlds Tallest Thermometer (WTT). Perhaps you may have called it the Baker Thermometer or the Bun Boy Thermometer. If you've ever travelled along Highway 15 from Los Angeles to Las Vegas, you cannot miss it. Baker is a regular bathroom break before heading over Mountain Pass at the California/Nevada boarder. But I took time to get to know the Thermometer better after seeing an episode of Strange Inheritance on the Fox Business Channel. And the story of the Thermometer is worth the visit alone. Originally built by Willis Herron in 1991 next door to his Bun Boy Restaurant, the WTT fell down, was re-errected, lost bulbs to high winds, and was finally reinforced before changing owners. Check out this video to see the significance of the name of the Gift Shop and height of the tower. Watch as the tower records a pretty hot day in Death Valley. 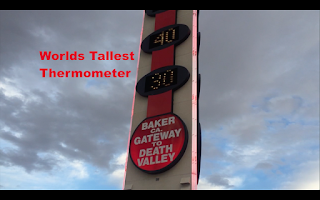 World Tallest Thermometer YouTube video - including aerial drone footage. 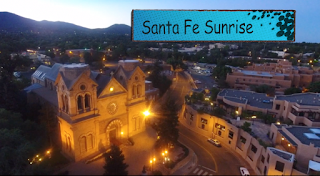 So this is my aerial drone Santa Fe sunrise video. It has taken awhile to compile my footage because I needed to empty myself creatively in order to put together a good story. The fun part of drone photography is learning how to use your drone. But with great power comes great responsibility. I had just begun studying for the FAA part 107 UAS Pilot's certificate when I made my way through the western USA. The challenge is that there are certain safety rules to follow. And with that, certain places where you can and cannot fly. As I was still new to the study, I was fortunate that nearly every place I flew was in a free fly zone. Given how touristy Santa Fe can be, I knew I needed to fly early, otherwise, I would not be able to get any footage. You cannot fly over people unless they are specifically a part of the video shoot. So getting up before sunrise, I picked the plaza to just fly around and see what the lighting would give me. I had already taken some hand held photography the day before, so I did not think I needed a lot of footage. But then I met Bob. Bob saw me setting up from his hotel nearby, and could not help but come down and check out my proceedings. The challenge is that you really need to concentrate on filming and flying....not talking to your adoring fans. So even though I got some decent footage, it was more an exercise in getting airborne and just flying around. I did not get a chance to get very creative with my filming. Still, I am pleased with the outcome. 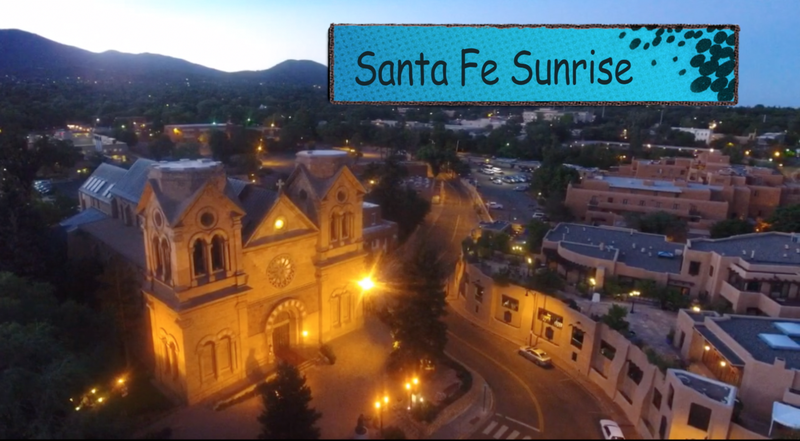 Here is my best effort for Sunrise in Santa Fe. Enjoy. Wow! What an amazing season. I have done so much traveling in the past few weeks, I have not had a chance to focus on my blog. Well, I hope to make up for it in the next three months. First, I have to say, drone photography has been a real education. The FAA decided to allow small drone operators to secure a certificate as a Unmanned Small Drone Pilot. It's called the Part 107 certificate. I decided to concentrate on that and passed the exam on September 12. Yep, I am a Pilot....so to speak. In that time, I took to the world of SEO and began promoting one of my YouTube videos. The trip to the family reunion in Minneapolis in August yielded my first attempts to fly my drone. On the drive across the USA, I did much more flying and took the time to create and upload a couple of videos. I was able to upload my aerial drone footage of the 2016 Sturgis Motorcycle Rally onto YouTube just before the rally ended, and got over 3500 hits right away. As if this writing, I am up to 5000 hits. 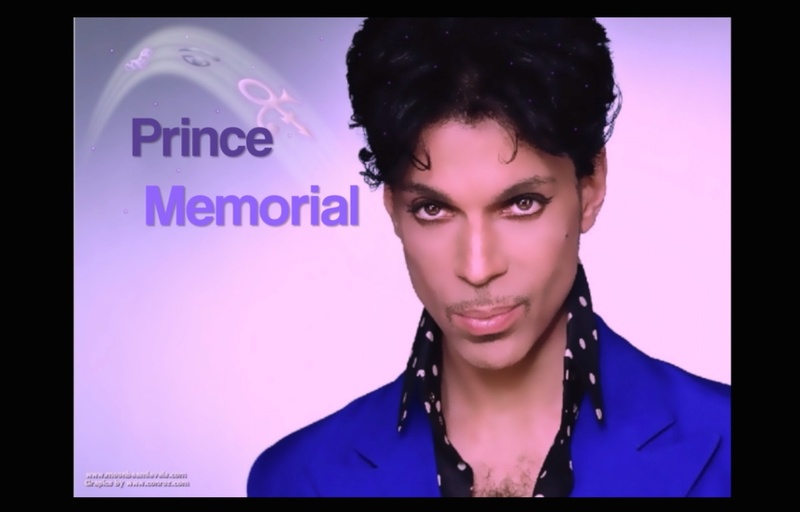 But once I realized that a targeted video could get so many hits, I decided to cull my Minneapolis footage into a tribute to Prince. He passed away in April of 2016. Although I began working on the video in August, I thought it might still speak to people. I uploaded it in late August, 2016. Once complete, I uploaded it and an amazing thing happened. Two days after I uploaded the Prince Memorial video onto YouTube, the estate announced that his home, Paisley Park, would be open to fans for tours in October 2016. I was excited. That gave me 5-6 weeks to do as much SEO as I could. My hope was to have my video work it's way up the Google chain until it would be a highly placed reference once people started searching for information on Paisley Park. It worked. The tours took place last week, and my video has had over 13,500 hits and is still climbing. I am very happy with the results of the video, and keep getting nice comments. Here is the link. I hope you enjoy it as well. It's been way too long since my last post. I was busy thru April. In July, I discovered drone photography. That's a whole new world of video work. After practicing with. Blade Nano for two weeks, I purchased the DJI Phantom 4. I looked at lots of videos to learn how to work with the drone. The DJI 4 has a bunch of features to provide stability and ease of maneuvering. After overcoming my concern of flying over water, I was ready for a see America road trip. Starting in Minneapolis, my 90 year old dad and I drove through the black hills, down to Santa Fe, over to Vegas and down to San Diego before flying to Hawaii. Along the way, I uploaded a couple of videos. By the time I got home, my Sturgis 2016 video had over a thousand hits. Within two weeks, I had over 3500. This is my most successful video so far. Please enjoy: Aerial Drone footage of the Sturgis Motorcycle Rally 2016, Mount Rushmore, Crazy Horse and Devil's Tower. Fleetwood's on Front Street in Lahsina has become one of our favorite Maui eateries. Partially because of the amazing sunset, rooftop view. Mainly because of the happy hour $1 oyster special, flown in daily from the northwest. There is one other treat. In addition to a kumu greeting the guests in traditional Hawaiian fashion, Mick has a bagpiper come out and share the tradition of Scotsmen in Maui. Normally, a Mad Piper comes out and blows away the visitors with some awesome piping. When he cannot make it, (everybody gets a day off) a guest piper comes in. On this occasion, young Innis, from the Isle of Maui Pipe Band regaled us with a bit of story telling and some excellent piping. Mick shows his support and appreciation of the young lad. Check it out below. And check out more travel ideas at my YouTube channel, Starwelcome. I realize it is very late that I am writing this post. The holidays were awesome. I was able to enjoy some great concerts and see my favorite musician Willie K, on my birthday. He actually did a holiday party the same day, so I had a great birthday. I was so busy with the seasonal festivities, I failed to post anything here. But I did have a few short videos that I uploaded on YouTube. I will try to find my Las Vegas new years eve photos taken from the sky bar of the Palms Hotel. It shows the rooftop fireworks displays above three hotels. That will come later. Suffice it to say, I enjoy a good fireworks display. That leads to Maui. The main new years eve display is shot off of a barge off the coast of Kihei. It can best be seen from the hotels near the Grand Wailea, and therefore parties are held there by major rock stars every year. Maui might as well be Steven Tyler's second home. I chose to stay home. 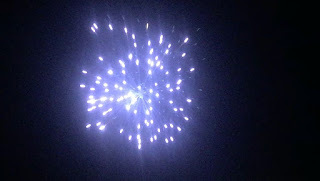 I heard from a visitor to my home that there was an awesome display across central Maui for new years. I was actually away from my home last year, and took it on here say. This year, I was not even inclined to stay awake. The reason for my skepticism was the dearth of firework activity on the 4th of July. I was very disappointed even though I remember much more activity as a child in Oahu. The pyrotechnics started going on sale on December 26th. I was amazed to see fireworks sold at the local grocery store between the 26th and 31st. These were not just sparklers and such. These were giant rockets being sold to everybody from nearly every retail outlet. Still, I was not impressed. I decided to go to sleep early, and wake up around 10 pm to see the new year occur on the West Coast. I was joined by my 89 year old father 30 minutes later. We chatted until midnight. For 90 minutes various fireworks went off all over the valley. Mostly sporadic. Nothing really amazing. Outside my window, the neighbors would shoot something in the air about every 10 minutes. It was fun. Clearly more activity than July the 4th. But at midnight, all hell broke loose. From left to right across the entire horizon, fireworks shot up from backyards across Maui. The noise, the cacophony, the excitement was electric. I had never seen anything like it. I live on a hill. My view is from the harbor to the top of Haleakala Volcano. And across the entire central Maui Valley. It was amazing. Even the neighbors had set up multiple rockets to blast their display in my line of sight. I only took limited video, and uploaded a very short clip, but already it is the most watched video on my channel. Here it is. I cannot wait to do a much better video next new years eve. Enjoy. OK, I admit this might seem like a simple idea. But if you have not taken the San Diego Coaster from San Diego to Oceanside, you have missed a treat. The ride is about an hour long. It's a beautiful coastal ride on a quiet, comfortable commuter train. I recently took the ride while visiting friends in the area. I flew into the airport, but took the Coaster to Carlsbad, where my friends met me. I so much prefer this over a taxi or just having them meet me at the airport. The ride cost $5.75 one way. 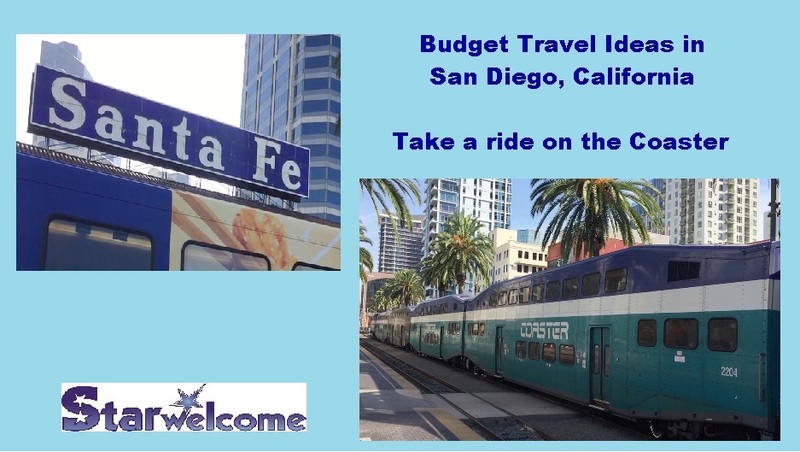 There is also a fee of $2.25 for a shuttle bus from San Diego Lindbergh Airport to the Santa Fe train Depot. But as a nice quiet journey to reflect, it cannot be beat. Also, there is free wifi onboard. That is a bonus. Next time you are in San Diego, just take the coaster for a day trip. Oceanside has lots of shops and restaurants in walking distance of the train depot. The depot is also about two blocks from the beach. It's a trip you will long remember. For more information, go to: www.gonctd.com/coaster. Also, check out my YouTube video on the link below.